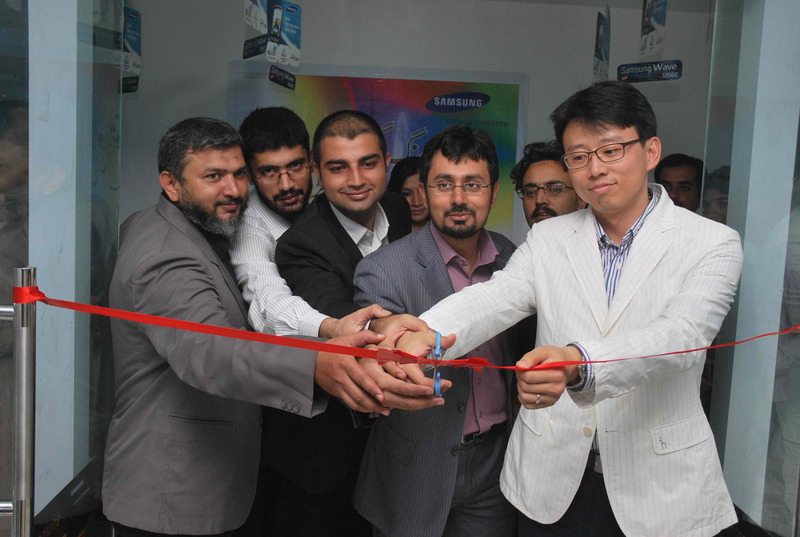 Samsung has opened its service center in Rawalpindi for increases customer support and timely after sales services. In the picture, Mr. Roy Chang, Mr. Zeshan Quershi, Mr. Usman Tariq from Samsung Electronics and Mr. Salman Ahmed and Mr. M. Asraf Yousuf from Teletec Enterprises inaugurating the Samsung customer Service with Teletec at Murree Road Rawalpindi. please let me know any contact number of sumsung service center ASAP.